Made in Italy | Isaia Napoli | A Continuous Lean. The third installment from the ACL Made in Italy tour focuses its sights on the Neopolitan tailor Isaia. 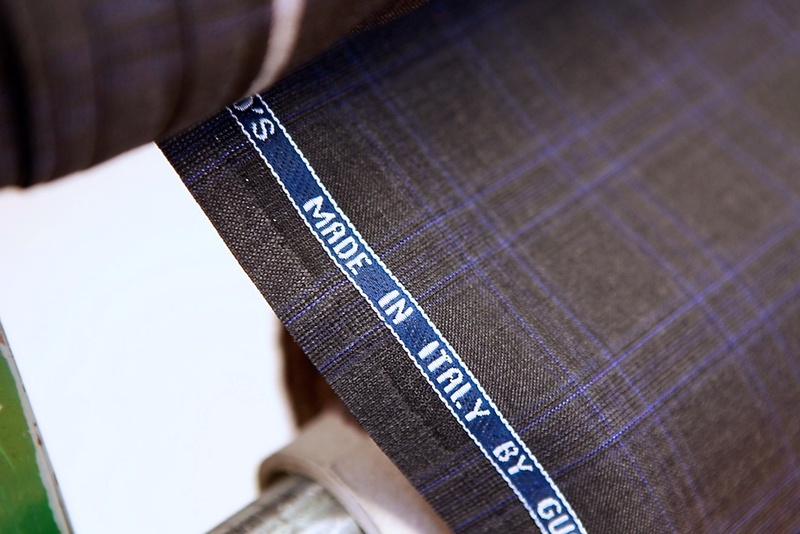 Located on the outskirts of Napoli – in a small town called Casalnuovo, a place that has been the home of tailors for generations – in a factory where nearly everyone that works in production is a second or third generation tailor. 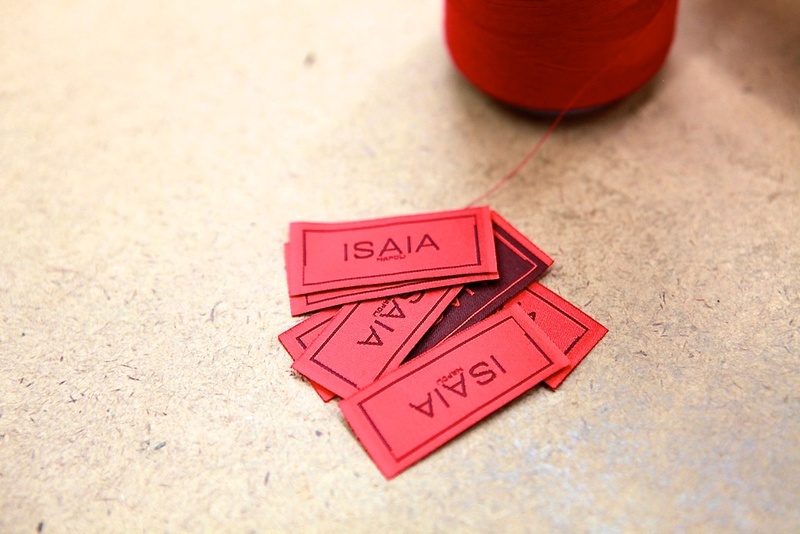 Isaia itself is a family-run business; founded in 1957 by Enrico Isaia, the clothing maker is now helmed by Enrico’s grandson Gianluca Isaia, and has various other family members involved in its day-to-day operations. The factory is an expansive two story building that is tucked away in an unmarked alley with a large gate. If I were to find the place without the assistance of Isaia’s driver, I’d venture to say it would have been impossible. More than that, if I had to drive myself through the traffic in Napoli, I don’t know if I would be alive to report about the wonderful tailoring I witnessed. But all of that just adds to the allure of Napoli and of course, the Neapolitans. I find Southern Italians to be charming and friendly with a good sense of humor. I find Napoli to be intense, exciting and renegade. Definitely unlike any other place in Italy that I have been. 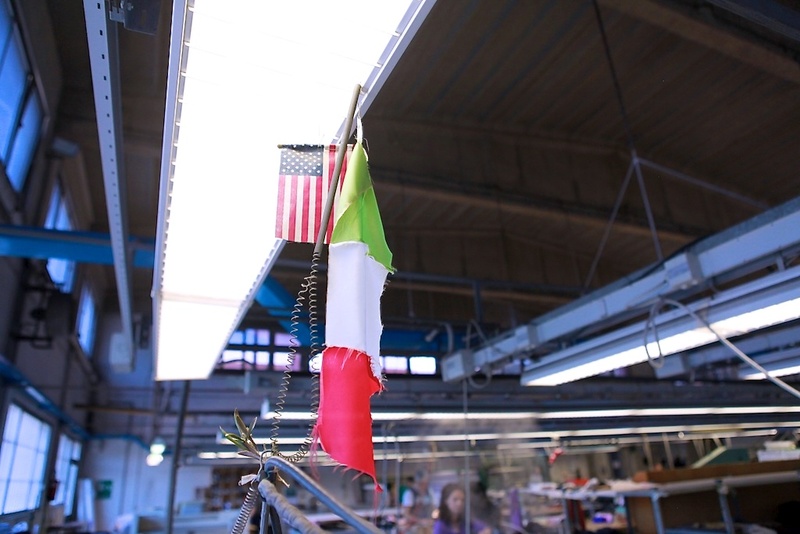 At first glance the Isaia factory seems like other American clothing factories that I have visited. Everything starts with a pattern room and technical designers – just like in the states, then you head downstairs and see the cutters. Like in the U.S. (and other places) the goods are cut one of two ways, on a CAD machine or by hand (depending on the fabric). 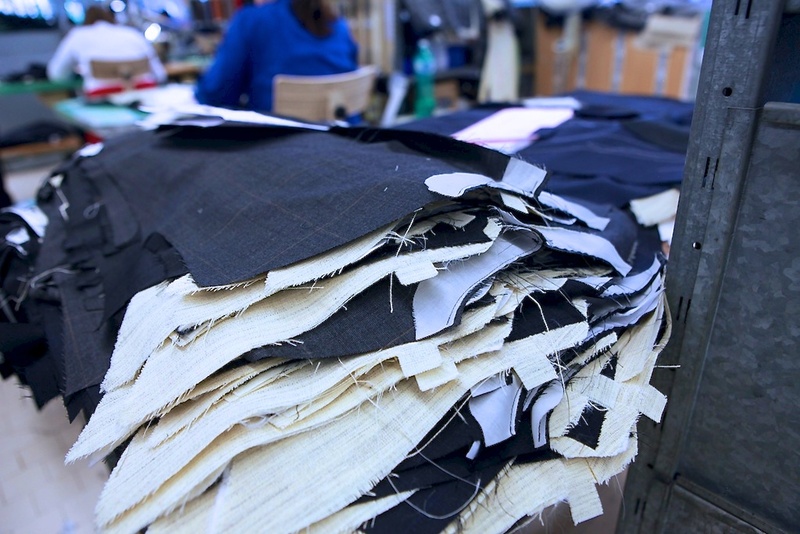 Once the orders are set and the goods are cut, the sewers begin the basic jacket construction on sewing machines. 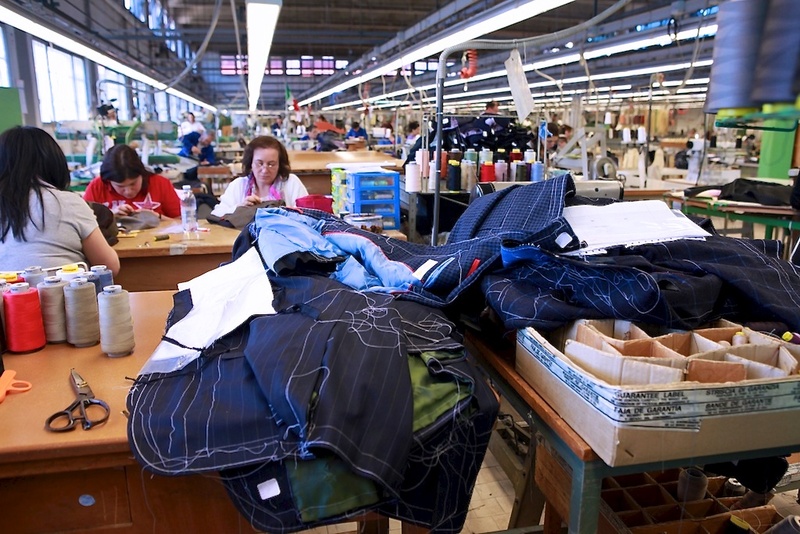 About a quarter of the factory is set up for this – people at machines sewing. The rest of the factory is set up for hand sewing, pressing & processing and for the pants shop. Once the building blocks of the jacket are in place, everything else is done by hand. The sleeves are attached by hand, the button holes made by hand – even the monogram is done by a person hand stitching. It was at this moment, seeing the embroidery done by hand by a woman who made it look as easy as swinging a door closed, that I really began to understand what makes Isaia and Neapolitan tailoring special. As we continued through the production line, we ended up in the room where the jackets are given their final press and preparation for shipping to the customer. Even this process is mostly done by hand and one single jacket can take hours to be properly pressed with an iron that weighs as much as a Sherman tank. The factory also has its pants shop and a separate shirt shop, all under one roof. This is something I haven’t seen before – jackets, pants and shirts all made under one roof. And everything looked like it belonged in my closet. To say it is beautiful stuff is an understatement. In Neapolitan dialect, there’s the expression “anema e core” or “heart and soul.” It’s what goes into those suits. 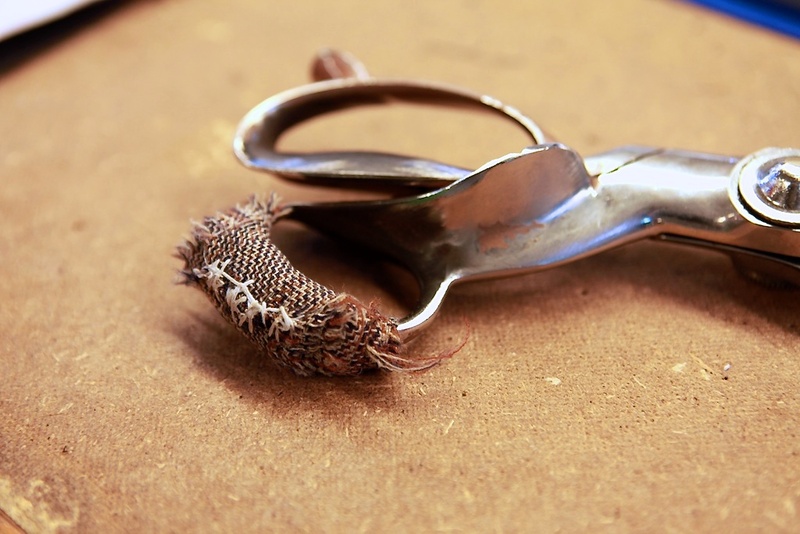 1) I think anyone who has fashioned their own scissor handle grip/padding, is authorized to run with scissors. 2) Do you suppose if one gets a custom suit they could also be informed as to what music was being listened to while sewn? Lotta earbuds there. Awesome. But needs more pics. I’ve been following ISAIA for quite some time… seeing the ins and outs of the process was great… !… Thanks Michael.. It is always interesting to see what goes into these types of brands and why they are so expensive. One day when I get something from Isaia I will know what made it special. Thanks Michael! Do you remember what the woman in the last 2 photographs was doing to the shirt collars on the mini hangers? I have 3 Isaia suits, 3 jackets, and 5 pairs of pants – in my opinion nbody cuts and sews a better garment. One of my jackets has been around the world with me twice and the elbows are starting to get thin from so much use. Is there a better testament to quality than wearing out the fabric. I’d sleep in it if my wife wouldn’t complain. Thanks for such an informative post. I only saw this brand for the first time a month ago at Nieman Marcus. I tried on a jacket and it fit like such a dream considering it is “off the rack.” The fabric falls so beautifully off your shoulders. I was just at the Gitman factory last week in Ashland PA and there are so many similarities between the two factories. Maybe you’ll do a post of their workshops. Whenever an American flag is displayed, rather than burned, overseas, I’m grateful. Hello Michael, this most interesting and informative article was forwarded to me by a customer of ours who has fallen in love with Isaia. We are fortunate to carry this incredible line in our store. Thank you for the work you put into this article. As a retailer In Lubbock, TX who sells this line, and also having been to the factory, Isaia is truly a jewel! If a customer can dream it, they can make it. And it fits our most advanced guys, or our conservative gentlemen farmers! Oh, you should have lunch in their factory cafeteria! Thank you very much, very interesting impressions!